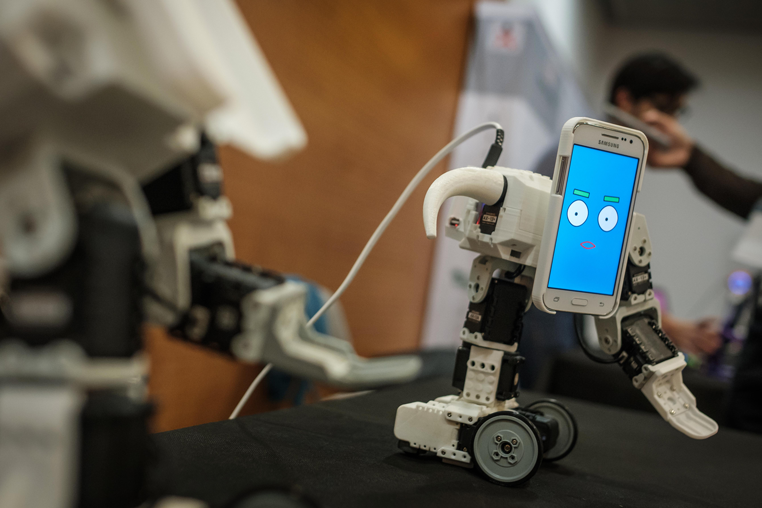 At Dyna Tech 2012 we carry out all kinds of projects related to IoT and robotics, both innovation and development, as well as training. Nowadays we find the new technologies in virtually every aspect of our lives, both private and professional: apps for mobile devices, gadgets, etc. We are in the era of the Internet of things, the smart era, of the apps for anything ... Do you have any projects in mind and do not know where to start? Our passion and experience in the hardware and software business allows us to perfectly combine and integrate the latest R&D technology to ensure that the requirements of your project are met in the field of IoT or robotics and, at the same time, create a great user experience. Do you want to know how new technologies can make your project come true or improve your day to day? Contact us, we will be happy to meet you and help you in any way we can without any commitment! 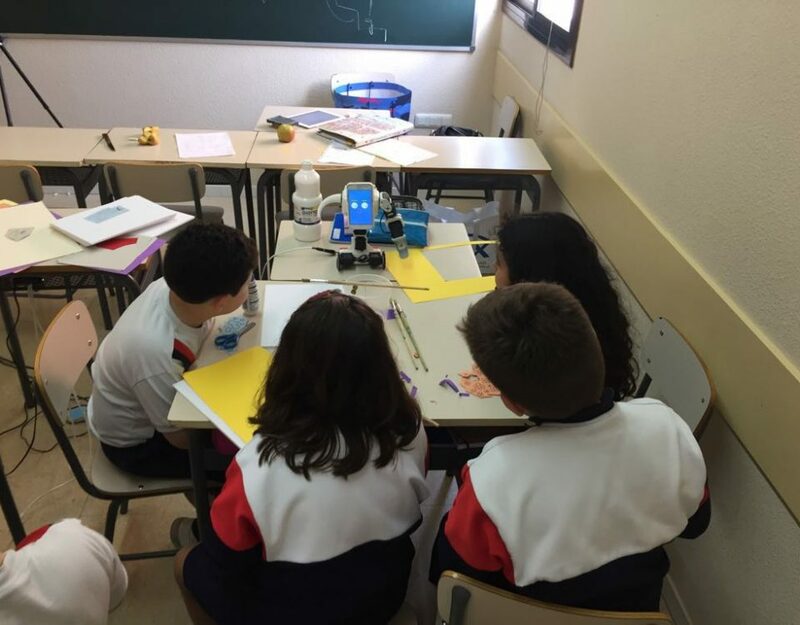 We use educational robotics, the creation of video games and other activities as a tool in order for children of all ages to enjoy and have fun learning and developing such important skills as group work, leadership, imagination, creativity and trust. Our close relationship with the education sector, coupled with our commitment to technology, has led us to be a reference company in Barcelona for the training of teaching staff in different STEM Education technologies, tools, products and techniques, such as educational robotics or creating video games. We also manage and advise schools, universities and learning centers on the implementation of STEM projects. 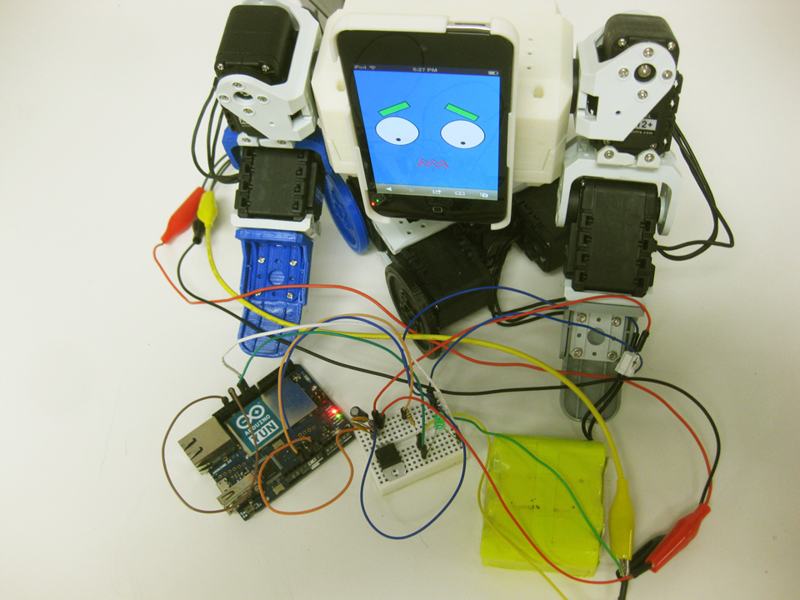 At Dyna Tech 2012 we have done all kinds of projects related to IoT and robotics, you can check them out at our portfolio below. 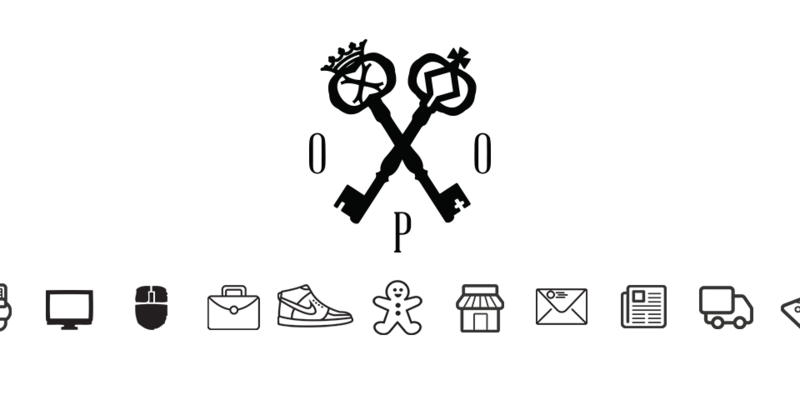 OOP is the new way to get rid of all the keyrings and keys you carry with you. Thanks to the NFC application for Android and the locks with NFC technology and WiFi, the control and management of all your keys has been made even easier. Our team designed and developed the first functional prototype of this product, in conjunction with the Android App and secure access, storage and database management system for up to 100 concurrent users. 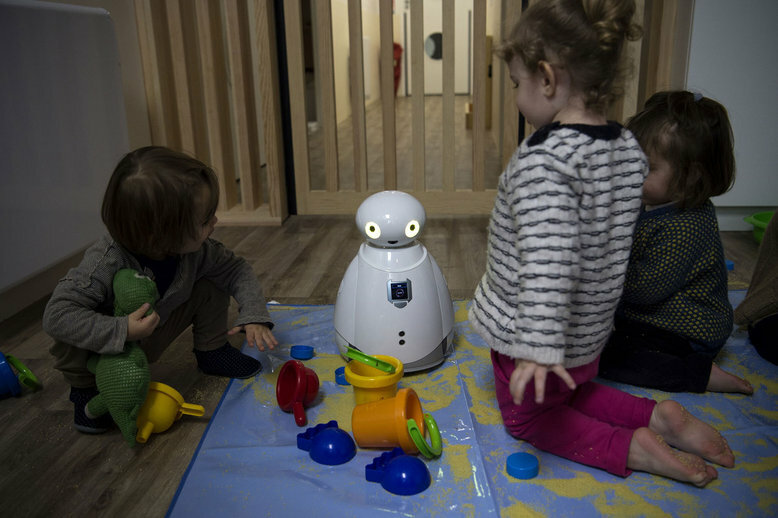 The CosmoCaixa, part of Social Work "LaCaixa", was interested in introducing educational robotics as part of its workshops. 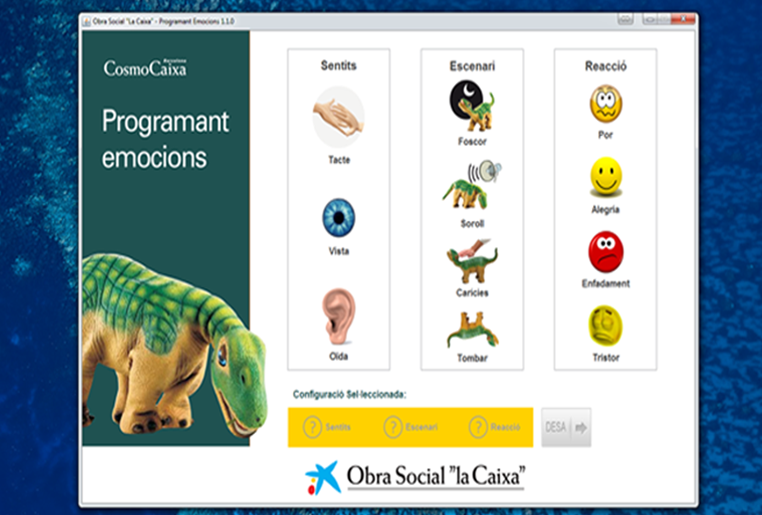 From Dyna Tech 2012 we proposed a workshop for the little ones to learn how to program the robot PLEO dinosaur and could see the different reactions of these before their own eyes. Our team designed and developed software for both PC and Mac OS and designed and trained the staff meant to deliver this type of didactic activities. 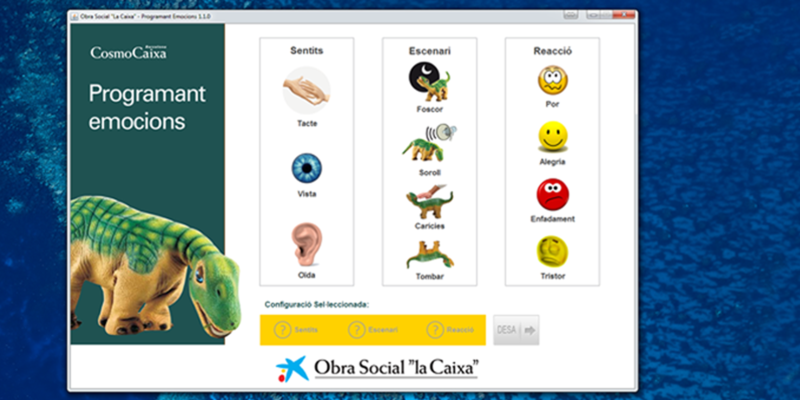 Workshops and sessions around this concept have been given and carried out in the CosmoCaixa, part of "La Caixa" Social Work in Barcelona. 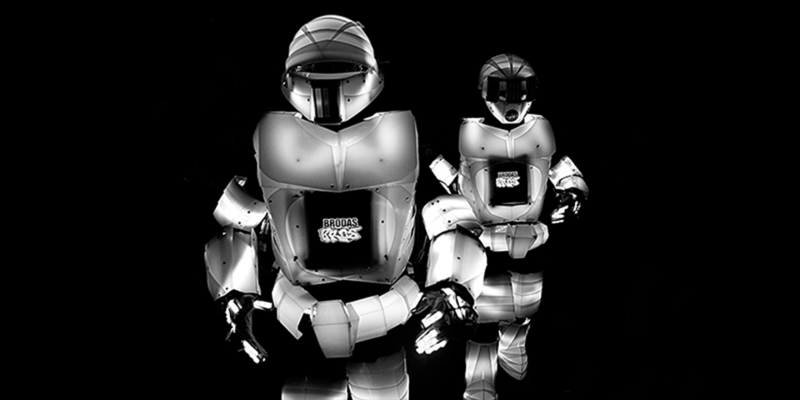 The hip-hop company Brodas Bros wanted to disguise themselves as robots for their performances, and that these robots had, why not, colored lights and screens showing images. Our team developed all the hardware that is included in each costume, from the configuration and the implementation of the system of synchronization to the second of the music with the illumination of the costumes. In addition, we have also developed apps for iPad and iPod touch that show different sequences of images synonymous with synchronization with lighting and music. 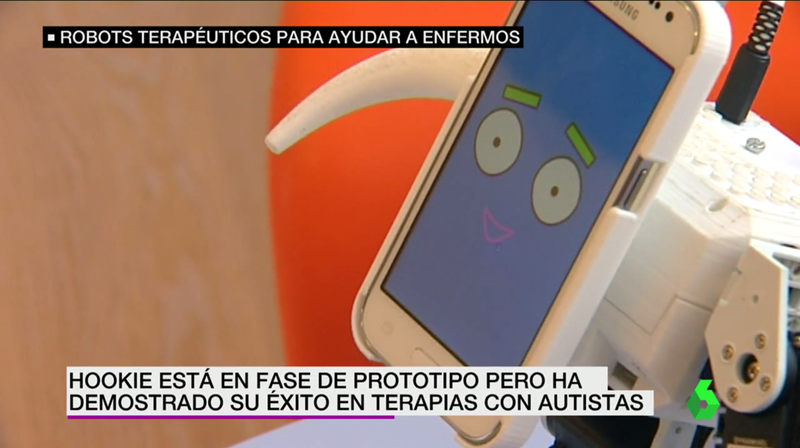 ¡Este es nuestro equipo A, estamos preparados, pónganos a prueba! 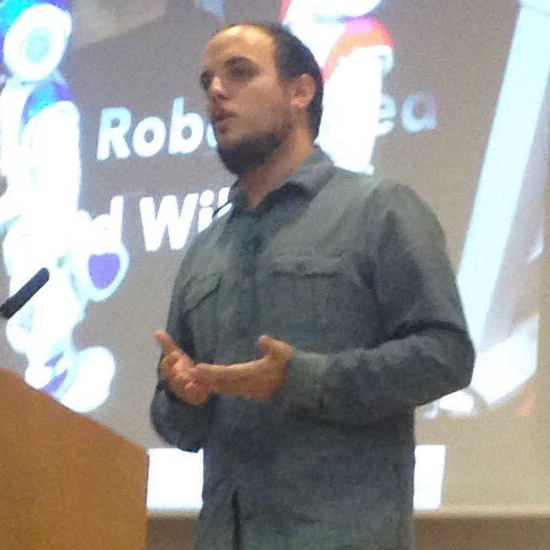 Electronics engineer, MBA, Android developer and IoT solutions expert. 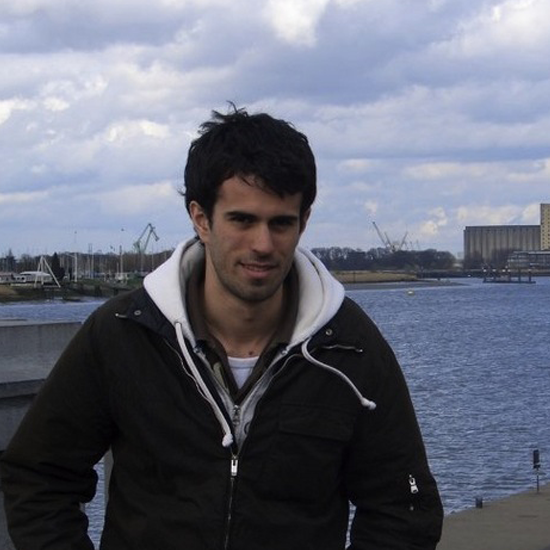 Ingeniero en electrónica, desarrollador iOS y experto en robótica social y educativa. Look, Hookie is on TV! Do not hesitate to ask anything or tell us about your project. We will get back to you as soon as possible.